Christopher Nolan has taken audiences from the streets of Gotham City, to the infinite world of dreams, to the farthest reaches of space. 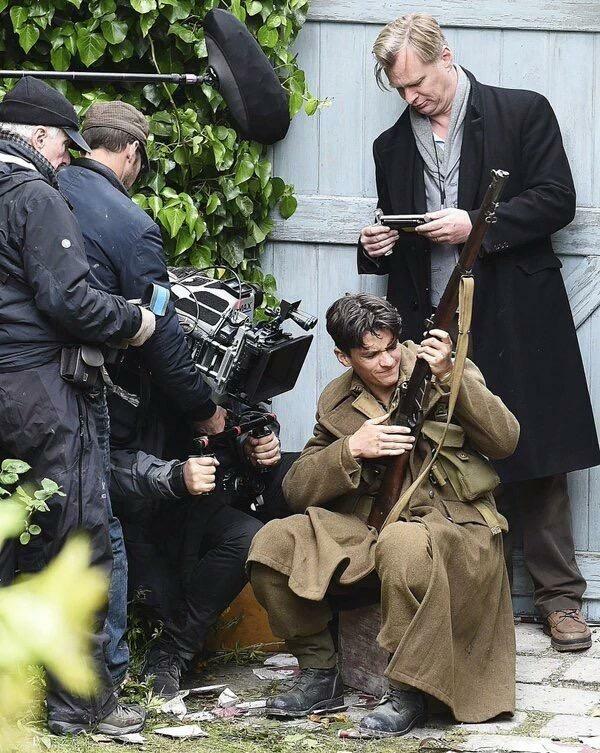 Now, for the first time, the innovative director/writer/producer has turned his camera to a real-life event, one that has resonated with him throughout his life: the miracle of Dunkirk. Warner Bros. Pictures' Dunkirk is based on the evacuation that—although it took place in the early months of World War II—had a direct impact on the outcome of the war. Rather than make a battlefield drama, however, Nolan’s objective was to turn this historical moment into immediate, immersive cinema: a propulsive, ticking-clock, epic action thriller in which the stakes couldn’t be higher. The story began in late May 1940, when the British Expeditionary Force, along with French, Belgian and Canadian troops were forced back to the beaches of Dunkirk. Though home was just 26 miles away, there was no easy way to reach it. The shallow-drafted beach, with its 21-foot tide, prohibited the large British naval ships from rescuing the men. But there was hope: a call had gone out for small boats to aid the effort and a flotilla of non-military “little ships” sailed out from the southern coast of England to bring the men home, codenamed Operation Dynamo. Nolan’s primary goal was to put the audience directly onto the beach, onboard the boat traversing the Channel, and in the cockpit of the Spitfires. He had been the first to use IMAX cameras in a major motion picture, for The Dark Knight, and has employed IMAX cameras on all of his subsequent films. But for Dunkirk, he expanded the use of large format—shooting the entire film with a combination of IMAX and 65mm film, something, he confirms, “I’ve never done before, but Dunkirk is a huge story and it demanded an enormous canvas. Opening across the Philippines on July 20, Dunkirk is distributed by Warner Bros. Pictures, a Warner Bros. Entertainment Company.